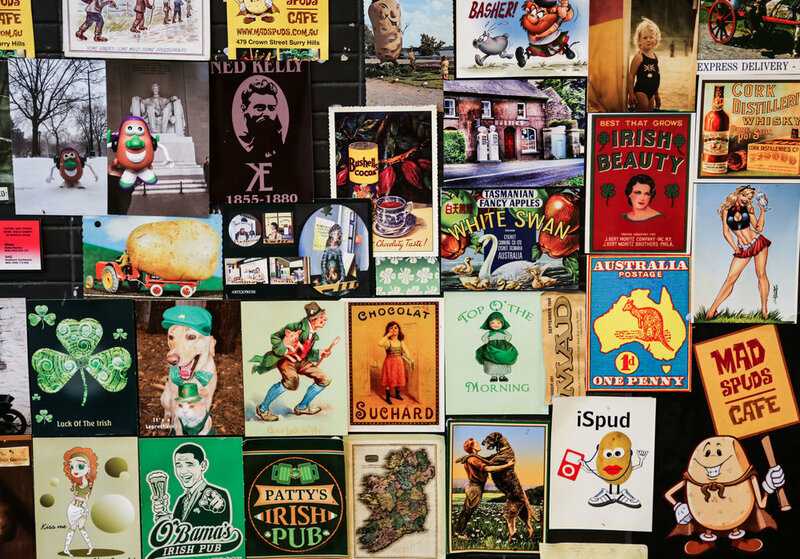 In light of Monday's celebration of St Patricks Day, I thought I'd share my recent visit to Mad Spud Cafe in Sydney's Surry Hills. This is another one of those places that my cousin Chris has been trying to drag me to for years. It just so happened that we had a hankering for a vegetarian lunch last Friday when we played catch up. When we arrived at the cafe, I ordered my coffee and with Chris' expert guidance, we ordered 3 dishes: Brown Rice & Feta Salad, the Mad Spud Stack, and Potato Nachos. If there's one dish that Chris has a major weakness for it's definitely nachos. Chris once explained to me that he loves a good platter of nachos because they're so easy to share...which is very typical of him, because he'd give you the shirt off his back without a qualm in the world! So when he suggested that we head to Mad Spud Cafe for lunch, it came as no surprise to me that he was most looking forward to the nachos - but I must say, I was not expecting what landed on the table. This bowl of deliciousness was not your typical corn chip and cheese stacked triple bypass. Instead of chips, the nachos were served with crispy twice cooked potato skins that made the perfect scoop for the bean and avo filling. 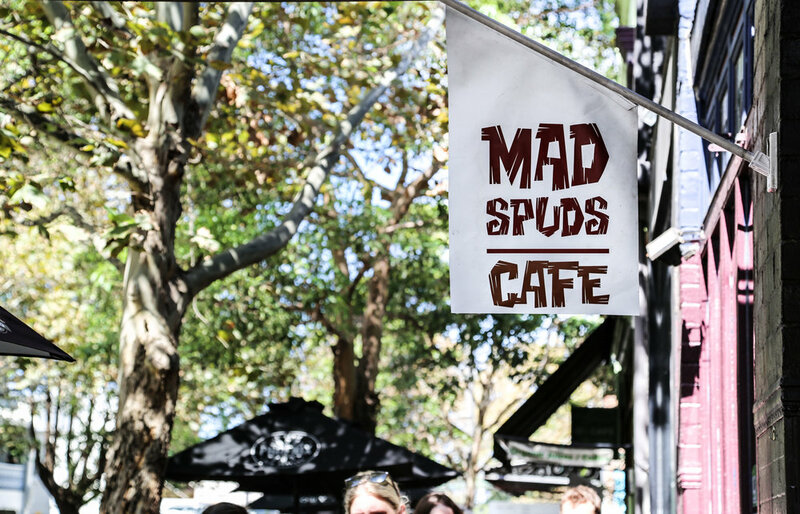 The Brown Rice & Feta Salad was fresh, wholesome and deliciously grounding, while the Mad Spud Stack would have been perfect on it's own for a light brunch or lunch. These was something about this place that reminded me of some of my favourite cafes in San Francisco. 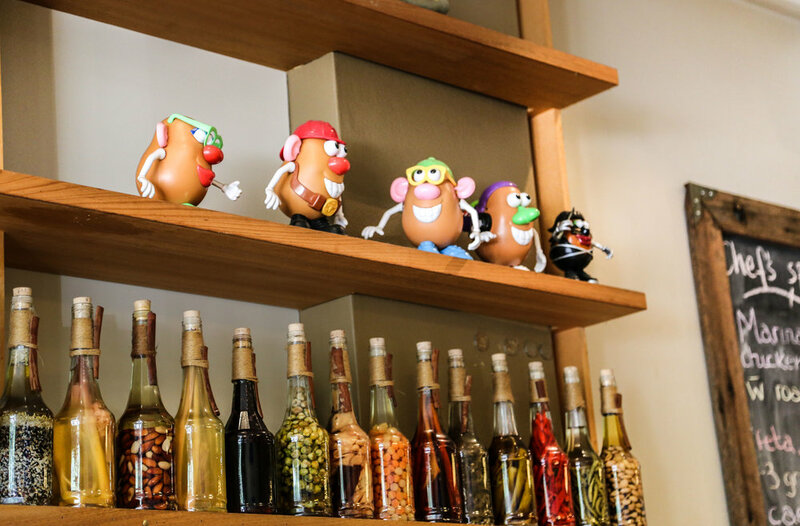 I don't know if it was the warm welcome, the good coffee, or the earthy menu... all I can say for certain is that I won't be staying away for too long.